This April, we are providing several opportunities for you to enjoy the outdoors, and give back to your community and nature by volunteering to plant trees. Through April 27, you and your family can sign up to help us plant hundreds of native trees along neighborhood streets and trails, and in parks across Allegheny County. 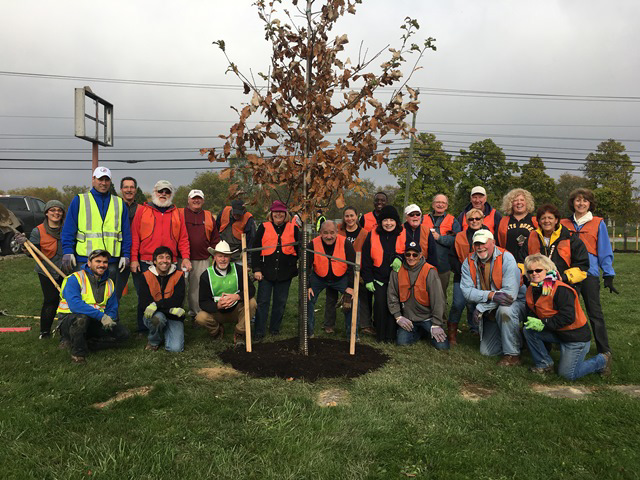 In celebration of Earth Day (April 22), we’re hosting a tree planting in Pittsburgh’s Highland Park on April 20 at 9 a.m. WPC’s tree plantings are made possible through our TreeVitialize Pittsburgh partnership and community forestry work. Register today to volunteer! Join us on Saturday, May 4 for the 2019 Members’ Day and Annual Meeting from 8 a.m. to 4 p.m. at The Barn at Fallingwater. The day’s activities will include guided nature hikes, free tours of Fallingwater, learning opportunities, a native plant sale and more. Activities are free, but registration and lunch reservations are required by Thursday, April 25. Register online or call 1-866-564-6972 today! Do you know a high school student who likes to draw? If so, please invite them to register for a new residency program at Fallingwater called, High School Residency: Drawing Intensive. Starting July 15 for students entering grades 10 through 12, this four-day program emphasizes sharpening observational and creative aptitude, while improving drawing skills. Interested students must apply by May 15. 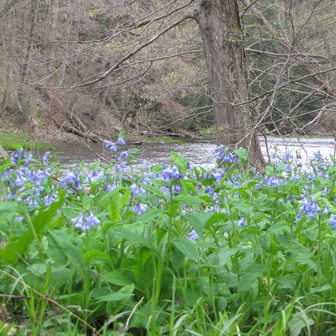 WPC’s Wolf Creek Narrows Natural Area in Butler County is known for its spectacular display of spring wildflowers! 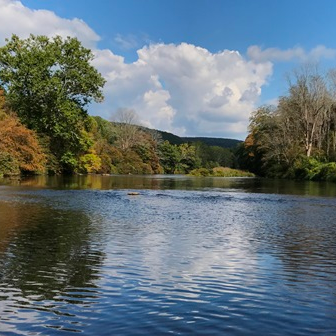 Experience the beauty of this natural area, which includes a mature hardwood forest and picturesque stream, at a guided nature hike along the 1.5 mile loop trail on April 28. This walk is being organized by our partners at Venture Outdoors. Learn more and sign up today. 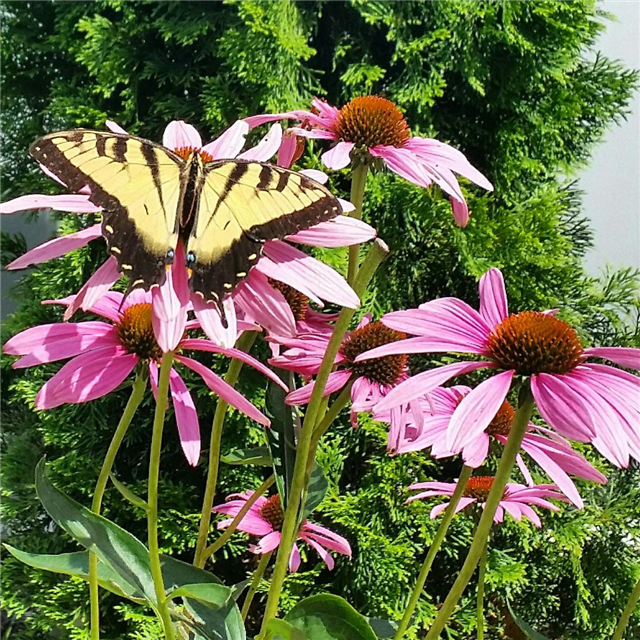 Since the 1970s, the natural beauty of our community flower gardens has captivated residents and welcomed visitors throughout the spring and summer seasons. 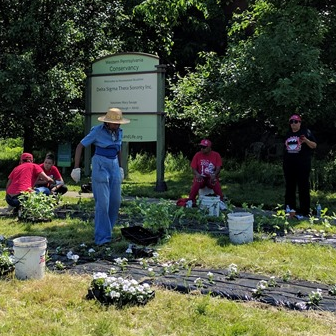 Starting in early May and with the help of thousands of volunteers, we’ll begin the 2019 planting season by planting colorful annuals in our 132 community flower gardens. Sign up today to help beautify your community and volunteer! 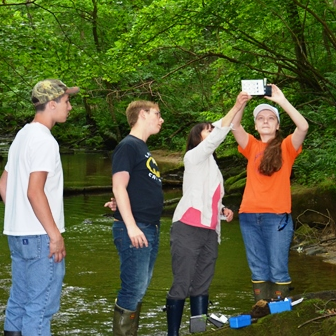 Students in grades 10 through 12 are invited to attend Experiencing Your Environment though Conservation (EYE-Con), a four-day summer camp hosted at Jennings Environmental Education Center in Butler County from June 17-20. 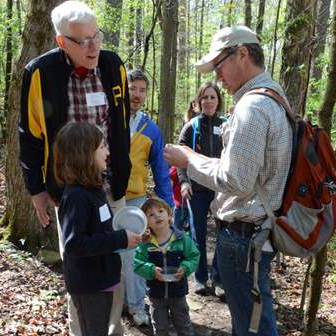 Hands-on learning opportunities include science experiments and in-field learning opportunities with professionals. Plus, participants can earn two college credits through Westminster College. Register your student today for this real-world experience. In 2017, WPC received an important gift from Bill Cadwallader’s estate. It endowed two community gardens in Pittsburgh, helped launch an education program and continued our research in the Clarion River. Find out how you can create a legacy at WPC or Fallingwater through your will or trust. WPC is currently shifting to new database software to improve our donor service tools. We’re working to make this transition as seamless as possible, but if your name, address or any other information is incorrect at any time – please let us know by sending an email to development@paconserve.org or by calling 1-866-564-6972. Travel this summer in style with Frank Lloyd Wright’s Saguaro Forms and Cactus Flowers travel collection. 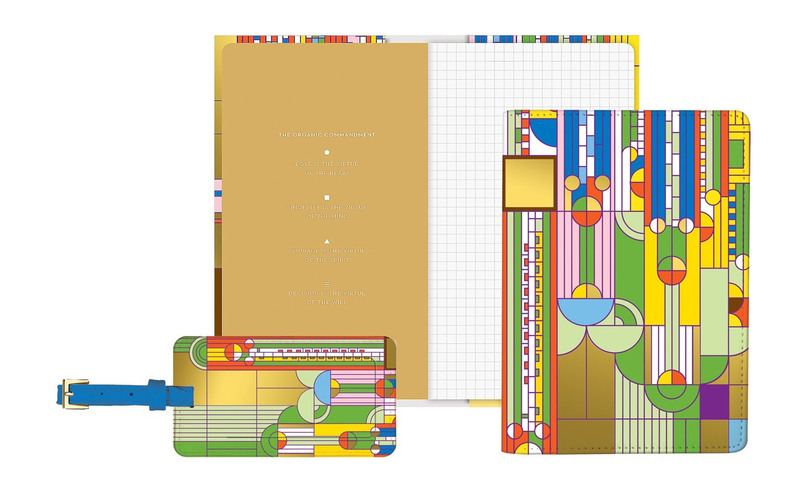 Choose from a luggage tag, passport cover and/or travel journal, which all feature Wright’s iconic design with gold foil accents. Each item is made of vegan leather and contains pockets for your travel essentials. Purchase this travel set or other new arrivals in our online store today! 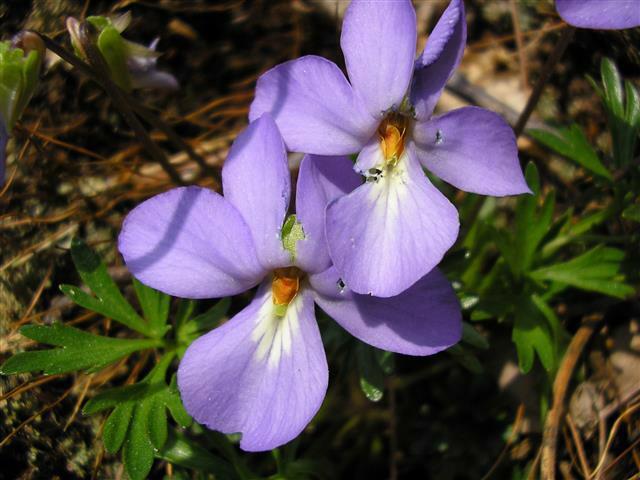 In early spring, the birdfoot violet ( Viola pedata) can be found blooming on sunny shale hillsides including on shale barrens, which are steep, dry, open woodland habitats found in the Central Appalachian Mountains from Pennsylvania to Virginia. The beautiful color variation is one of the hallmarks of this plant species. While colors range from lilac, deep burgundy, blue and white, the birdfoot-shaped leaves of this spring flower are what easily distinguishes it from other violet species. In Southcentral Pennsylvania, you can see this flower at the Conservancy’s Sideling Hill Creek Conservation Area, a 252-acre area that is open to the public for fishing and hunting in Bedford and Fulton counties. This unique property hosts upland forests and rock outcrops overlooking Sideling Hill Creek. Download the April desktop calendar featuring the birdfoot violet. » Register for volunteer opportunities in April! » Our work benefits public lands. » Read the new issue of our Perspectives Newsletter. » Discover how you can create a legacy at WPC. 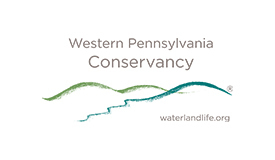 » Read the Pittsburgh Quarterly Winter Nature Column. 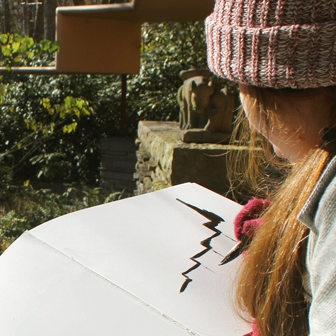 » Fallingwater residencies are available for teachers and designers. » Join or renew your WPC membership. » Not on our enewsletter mailing list? Sign up today!